But right now, we’re looking at the best designed cards to be printed in the Core Set for the first time (hence the virgin remark. I’m not calling you a virgin, or am I?). Today, we’ve the got commons to look at. Remember, these are not the best commons in the set in terms of power, but the ones that are the best designed for the flavor and function of the color. I love well designed cards. They make me feel all tingly when Wizards throws them in core sets. 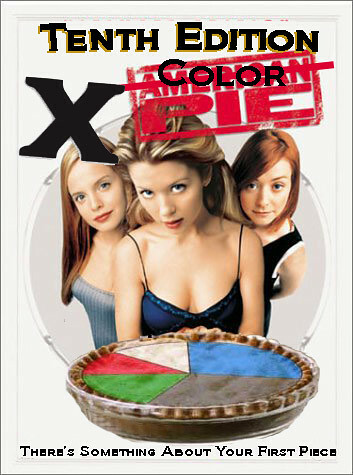 Core Sets are all about showing new players what a color is all about and not about sales (Remember that the next time you crack a black boarded Birds of Paradise, Painland or Wrath of God). But, R&D (or in this case: Aaron Forsythe, Matt Place and Mike Turian put together 10th) wised up and thought “hey, we better design the set for people who want to play standard too.” Which they did when they put together this set and is quite possibly the best designed core set in years. Today, we’ve the got commons to look at. Remember, these are not the best commons in the set in terms of power, but the ones that are the best designed for the flavor and function of the color. Confused about some of the terms I’ve used? Click here. While Distress costs double what one of the best discard spells ever (Duress) costs, it’s still good. 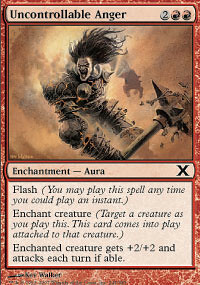 As this card was clearly made to replace Duress in the Core Set, it shows Black’s ability to screw with an opponent’s mind (their hand). By cherry picking a spell of your choice (the important part of this card), Black is able to take control of the situation, the ego side of black. Phyrexian Ranger for doing whatever necessary (losing a life), to get what it wants (drawing a card). 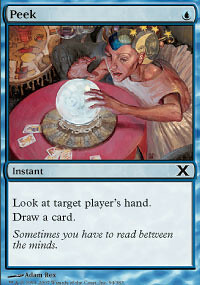 Blue loves information and in this card it comes two fold with the cantrip and the “Peek”ing aspect of the card. Gathering and controlling (to a degree) information is a major aspect of blue. But the real joy comes from the type of card this is: Instant. If Blue loves one particular card type it’s instants (Please ignore Combo Winters I and II). 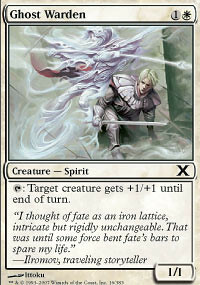 Cancel for three simple words: Counter target spell. Something I think Blue does from time to time. 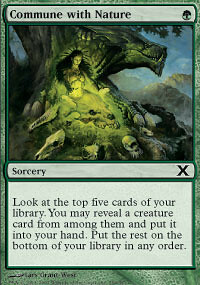 I loved this card when it first come out for one simple reason: it’s basically Impulse for Green. Green loves creaturs almost as much as Lindsey Lohan loves drinking. So, why not have a spell that gets them into your hand quicker? So, while card drawing is generally a no no for green, it can bend that rule if creatures are involved (just don’t tell Harmonize). Pincher Beetles for Grizzly Bears have been repeated in Core Sets before. Also, for having shroud. I’m surprised they didn’t put the Hulk as the art. Fulled buy fury for any number of cliches (you killed my father, you kidnapped my daughter, you ran over my dog), this card shows Red’s emotional side. The have to attack clause comes from killing all the bad guys until everyone is dead (Just like a Arnold Schwarzenegger movie), which is Red’s style. Prodigal Pyromancer for bringing the Prodigal Son, Tim, to its home color. White is the color of self sacrifice and helping out your fellow warrior. Sometimes it’s preventing damage, other times, it’s increasing their stats. But why this is White is because of the “community” aspect of this card; sure he can give himself +1/+1, but he can also give my 1/1 solider token +1/1. Compare this to Black’s Nantuko Husk where it requires the sacrifice of others to itself. (again with the ego). Benalish Knight for being trained in a military way to ambush. 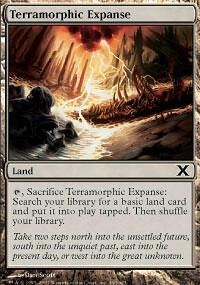 T, Sacrifice Terramorphic Expanse: Search your library for a basic land card and put it into play tapped. Then shuffle your library. While I love this card to death (and budget players love it because it doesn’t cost $20) I don’t see how a land can turn into another land. It’s not like my apartment turns into a swimming pool when I’m hot and need a dip. Sure, I bet it has something to with the time rifts that were happening during Time Spiral, but it doesn’t matter because it teaches players one great thing: thinning your deck. Less lands left in your library means more business spells you’ll draw. And that’s a good thing. Um, nothing. This is the only common artifact/land in the set. But it would have beat most others if it wasn’t. That’s it for now. You guys agree, disagree? Remember, this is the first time a card has been in a Core Set (So, no Incinerate, Pacifism, Demolish, Festering Goblin). As my first “real” post, I wanted to started of basic (no pun). Join me next time where I take a look at the uncommons.